Left Bronze Medalist Phobe Ackland. Right Gold Medalist Terri Marnell Cox. Pictured above Gold Medalist: Terri Marnell Cox and Bronze Medalist: Phobe Ackland from the Benitchell Club. 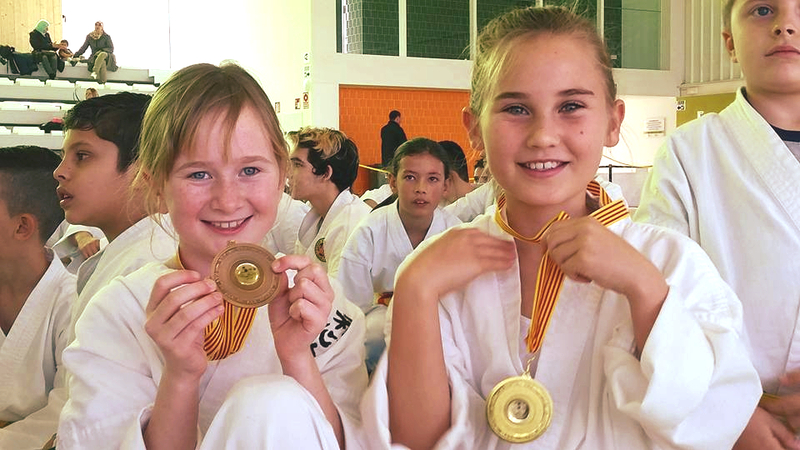 The Club de Karate Washinkai has had a great start to the year beginning with the phenomenal success of the Campeonato de comarcal del clubes in Pedreguer on Sunday 26th February 2017. 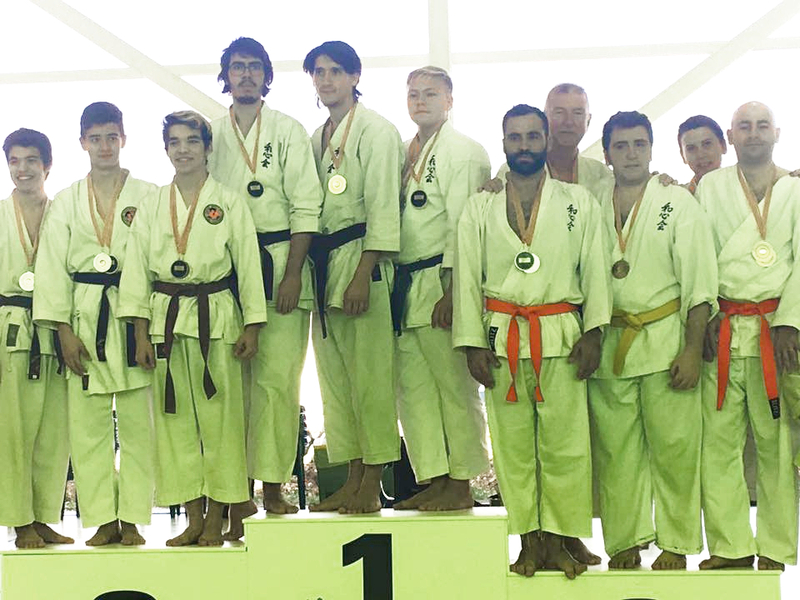 Students from Washinkai competed against other clubs and styles of Karate from the Marina Alta comarcal. With fifty students attending the event, Jávea Town Hall provided a bus to transport Washinkai competitors to and from the sports centre. Students from Lady Elizabeth School won: 1 Gold, 1, Silver and 4 Bronze medals. Students from Xàbia International School won: 2 Gold, 1 Silver, 5 Bronze medals. Students from Benitachell won: 2 Gold, 1 Silver, 1 Bronze medals. 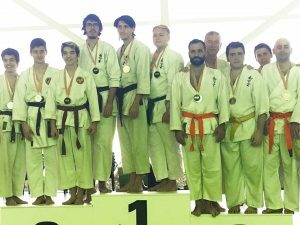 Students from Jávea won: 5 Gold, 4 Silver, 9 Bronze medals. 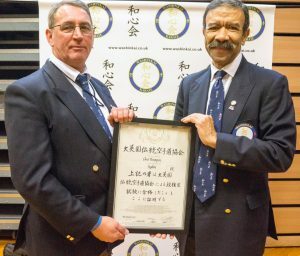 Shihan Christopher Thompson being presented with his 9th Dan certificate on behalf of the association by Neville Smith on Sunday 5th March 2017 in the UK. The following weekend, Sunday 5th March 2017 saw a team of 19 students from the Spanish Club travel to the UK to take part in the United Kingdom Washinkai Nationals. The team was led by Senior Instructors Sensei Sarah Lakin and Sensei Geovanny Sanchez. This was a very special event, as it marked the 40th Anniversary of the establishment of Washinkai Karate as an Internationally recognised Martial Art. 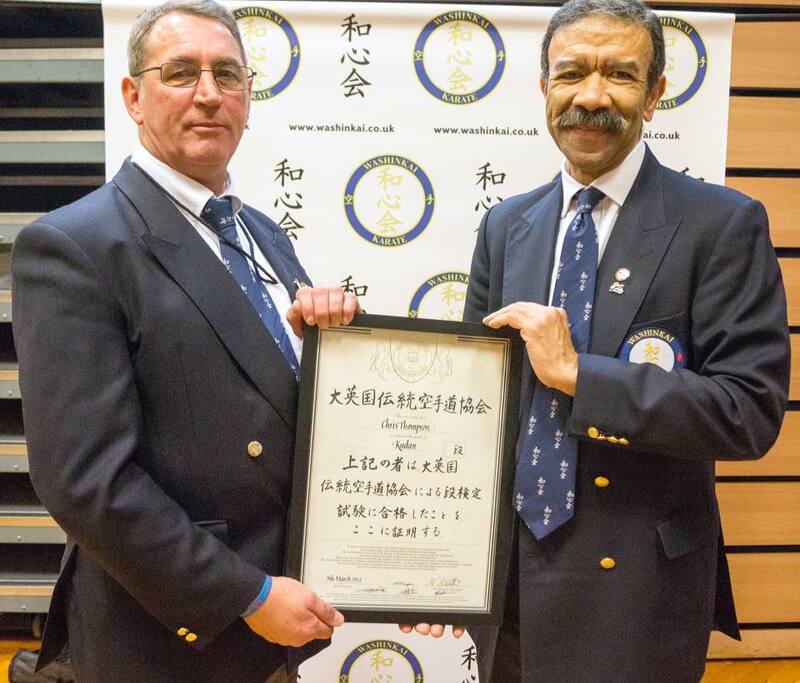 The event saw Washinkai’s Chief Instructor Shihan Christopher Thompson promoted to 9th Dan. After the medal ceremony, our own President Geovanny Sanchez Salizar was presented with his belt for 4th Dan.